Joan Bondurant died recently in Tucson, AZ. 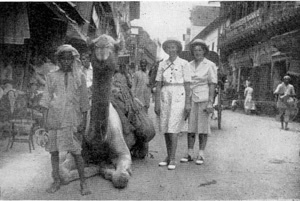 She was a spy for the OSS in India during WWII and a scholar on India & non-violence. William Bondurant, wbondura@sbcglobal, wrote: “I noticed in going back a few issues of the Bondurant Family Association Newsletter that you had requested info on Joan. 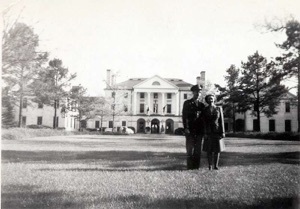 Price and Minnie Bondurant were the parents of Joan and Keith Bondurant. Price Bondurant was my father’s brother. My grandfather J.D. Bondurant, Sr. had 7 sons and 3 daughters. Keith became a lawyer practicing in Kansas City, Missouri and also a State Representive. 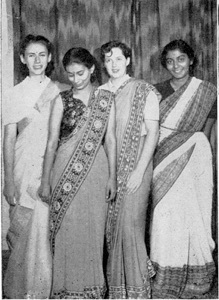 Joan became a professsor and in 1943 she was sent to India by the US Government. At the time I was a 2nd Lt. in Army Transportation Corps stationed at Hampton Roads Port of Embarkation. I worked in Embarkation and Debarkation. Having access to passenger lists of coming embarkations, I noticed Joan's name on a coming embarkations list, I called the staging area and was able to talk to her. My wife and I offered to take her to visit Williamsburg before she embarked for India. It was an enjoyable time for both of us since we were cousins and had never met since she lived in Kansas and I in Missouri. 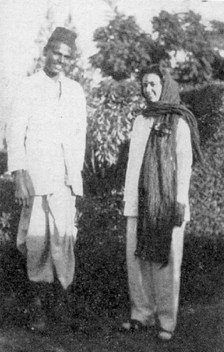 Analyst in India, where she met Mahatma Gandhi, and began her intensive study of Gandi and his Satyagraha movement calling for non-violent defiance of the government. During her four years of field research, she was witness to Gandhi’s successful leadership in India’s struggle for independence. In New Delhi, she saw the effectiveness of Gandhi’s principles first hand, when disciples of Satyagraha peacefully put an end to street riots between Muslims and Sikhs over the partition of India. Dr. Bondurant’s work came to the attention of India’s foremost leaders, including Prime Minister Jawaharial Nehru, who wrote the foreward to Dr. Bondurant’s influential book, Conquest of Violence: The Gandhian Philosophy of Conflict, a classic in its field. In 1948 Dr. Bondurant returned to the US and attended the University of California, Berkeley, where in 1952 she received Phd in Political Science. She joined the faculty there, and served as Research Political Scientist, Institute of International Studies until 1970. Dr. Bondurant has written extensively in the field of conflict, and conflict resolution, as well as on the government and politics of India. She edited Conflict: Violence and Non-Violence for Atherton Press and wrote the introduction to the 19 volume edition of Harijan, Gandhi’s weekly journal covering the movement for Indian independence. From 1970-73, Dr. Bondurant was Professor of Comparative Politics as the University of the Pacific, Stockton, CA,” and retired to Tucson, AZ. Joan Valerie Bondurant was an OSS agent during World War II, a musician with a knack for language who so thoroughly mastered Japanese that she translated and analyzed military intelligence for the OSS. A talented pianist born in Great Bend, Ken., she studied music at the University of Michigan. But when the United States entered World War II shortly after she graduated, she was overwhelmed by the patriotism that swept the country and wanted to do her part. Believing that those with an ear for music have an ear for language, she tried to enroll in a Japanese language course at the University of Michigan but was rejected because the program did not accept women. Undeterred, she sat outside the classroom day after day until she was admitted. She proved to be a skilled linguist – she would learn Hindi years later – and was recruited by the OSS. She was stationed in San Francisco for one year, then dispatched to India. There she translated and analyzed decrypted Japanese military messages and other documents.